Peninsula Families Today is looking for story ideas, news tips and more Peninsula Families Today is a family-focused publication and is inserted into the Peninsula Daily News and Sequim Gazette. 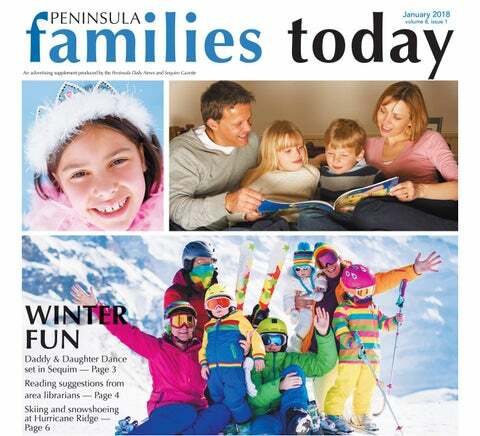 Please let us know what you’d like to see in the next issue of Peninsula Families Today. This publication welcomes input and new contributors. Educators, parents and professionals in their fields are invited to contribute informative and educational articles or columns for consideration. We cannot guarantee publication due to space and content considerations. If your submission is accepted, we reserve the right to edit it. Send articles, columns and photos (JPEGs at 200 dpi minimum) to section editor Brenda Hanrahan at bhanrahan@peninsuladailynews.com. For details, phone 360-452-2345. Interactive workshop designed to help people with health issues explore ways to live with long-term physical or mental health challenges and lead fuller lives. Participants will set small goals each week related to positive self- management of conditions, building skills and sharing experiences in a supportive atmosphere. PASD Board Directors ask voters to consider a Capital Projects Levy on the February 13, 2018 ballot that would renovate and add classrooms at Stevens Middle School. The additional classrooms would allow 6th grade to be moved from elementary schools to the middle school, thereby creating much needed space at all five elementary schools. In this way, new state mandates calling for lowering class sizes can be addressed. The Capital Projects Levy will create safer schools, smaller class sizes and room to increase learning opportunities. The Capital Projects Levy would allow the District to begin rebuilding one of our oldest schools, which does not meet today’s fire and earthquake standards. The 6-year, $46.7 million Capital Projects Levy would cost $2.47 per $1,000 of assessed property value. There is no interest with a Capital Projects Levy. Additionally, with a complete modernization project at Stevens Middle School, our District can qualify for state assistance funds up to $14 million. You heard about “Astrophysics for People in a Hurry” by Neil deGrass Tyson, Dan Brown’s “Origin” and the other bestsellers and big names from 2017. North Olympic Library System (NOLS) Librarian Sarah Morrison has a few suggestions for hidden gems — books from 2017 that are moving, exciting, tender or sharp yet didn’t make bestseller lists. Each title suggested deserves a wider audience: • “Hunger: A Memoir of (My) Body” by Roxane Gay Through difficult self-reflection, the author uses her own emotional and psychological struggles to explore our shared anxieties over pleasure, consumption, appearance and health. A difficult, emotional book but absolutely worth it, “Hunger” tells a story that hasn’t been told but needs to be. out-of-touch husband and not particularly healthy. After a natural disaster makes travel near-impossible, Edgar is separated from his wife and children. They’re safe and waiting in southern England to take a boat to relative safety on the continent. Edgar, left behind 500 miles in the north, has only weeks to find them. Let us create a custom package for your group! Voted First Place for Kids Bir thday Par ty Clallam Co.
backyards and urban parks — this book will teach kids about interesting flora and fauna in the Pacific Northwest. for a book in print or an audiobook or eBook, simply visit www.nols.org to request a title online or visit your local library branch. The North Olympic Library System operates the following locations: • Clallam Bay Library, 16990 state Highway 112 • Forks Library, 171 S. Forks Ave. • Port Angeles Library, 2210 S. Peabody St. • Sequim Library, 630 N. Sequim Ave. For more location information, visit www.nols.org. On a clear winter day, the Olympic Mountains can be seen towering over Port Angeles, reminding residents and visitors alike that a winter wonderland awaits just 17 miles up Hurricane Ridge Road. At 5,242 feet, wind and snow transform Olympic National Park’s Hurricane Ridge into a magical place for winter activities. Early snowfall and hurricane-force winds have sculpted trees and snow drifts into spectacular formations that will inspire people of all ages to snap a photograph or two. Hurricane Ridge provides the chance to snowshoe, cross-country or downhill ski or slide down a hill on a tube for a day of fun. Trekking around Hurricane Ridge on snowshoes can be a fun activity for the entire family. For families with small children or for novice snowshoers, the park’s ranger-guided snowshoe walk is a treat. Through the end of March — snow permitting — families can join a ranger-guided snowshoe walk. Celia Thompson of Port Angeles leads a group of cross-country skiers at Hurricane Ridge in December 2016. During the walk, attendees will learn about winter at Hurricane Ridge, including weather conditions, wildlife that remains active during the snowy months and other educational facts about Olympic National Park. People on the walk might see ravens and gray jays or the tracks of snowshoe hares, weasels and bobcats. Walks are offered at 2 p.m. weekends and holiday Mondays. The walk lasts 1.5 hours and covers less than a mile. Snowshoes and instructions are provided. The cost for snowshoe walks is $7 for adults, $3 for youth 6 to 15 years old and free for children 5 years old and younger. Snowshoers should sign up at the Hurricane Ridge Visitor Center information desk by 1:30 p.m., 30 minutes before the walk, and be dressed for cold weather. Advance reservations are required for group snowshoe walks, which begin at 10:30 a.m. Saturdays, Sundays and holiday Mondays. A group is limited to 25 people. Reservations can be made by phoning the park at 360-565-3136. For up-to-date information and rates about the Hurricane Ridge Ski and Snowboard Area, visit the Hurricane Ridge Winter Sports Club’s website at www.hurricaneridge.com. Entrance passes are required to reach Hurricane Ridge, the road for which is located off Race Street south of Port Angeles. The street becomes Mount Angeles Road. Olympic National Park Visitor Center, which is undergoing renovations, will be located on the right. An adjacent temporary center is open to visitors and can provide information about road and snow conditions, maps and activities. From Mount Angeles Road, watch for Hurricane Ridge Road on your right. You will reach the park’s entrance gate at Heart O’the Hills, about 5 miles south of the visitor center. Before heading up to Hurricane Ridge, be sure to check on weather conditions. The road may be closed due to unsafe icy conditions mid-December through March. Call the Road & Weather Hotline at 360-565-3131 for current road conditions, or follow @HRWinterAccess on Twitter for road updates. Carrying tire chains is required during the winter. An Olympic National Park pass is good for up to seven consecutive days at any park entrance. The pass costs $25 for vehicles. An annual pass costs $50 and is good for Olympic National Park entrance for one year from the month of purchase. A lifetime America the Beautiful pass is available for seniors ages 62 and older for $80. An active-duty military member or dependent pass is available for free. Photo by JESSE MAJOR/PENINSULA DAILY NEWS For more information, including other discounted and Snowboarders use a rope tow at Hurricane Ridge to enjoy an afternoon of fun. volunteer pass options, visit www.nps.gov/olym. For the past seven years, a shuttle from Port Angeles to Hurricane Ridge was provided by All Points Charter & Tours. The company is no longer in business following the retirement of owner and operator Willie Nelson. At the time of publication, the only way to reach Hurricane Ridge was for individuals to drive their personal vehicles. The popular Kids Create Art series at the Sequim Library, 630 N. Sequim Ave., will continue into winter and spring. These introductory art workshops take place from 10:30 a.m. to noon on the third Saturday through April 21. Led by local artists, each Kids Create Art session — recommended for ages 7 to 12 — will offer participants an opportunity to explore various artistic media. All workshops in the series are free, but with class sizes limited, pre-registration is required. To register, visit the Sequim Library events calendar at www.nols.org, phone 360683-1161 or send an email to youth@nols.org. All materials will be provided. l Feb. 17 — Artist Tricia Murphy will have participants design and draw their own robot while exploring the effects of light and shadow; the elements of line, shape and form; and the principles of symmetry and variety. Robot painting promises to be a fun tempera painting art project. l March 17 — Artist Janie Brackney will present Zentangle. Zentangles are not only beautiful, they are fun and relaxing to create. The process of creating a Zentangle is a form of “artistic meditation.” The Zentangle Method “increases focus and creativity, and provides artistic satisfaction along with an increased sense of personal well-being.” l April 21 — Closing out the Kids Create Art series for the season, artist Carrie Rodlend will be celebrating Earth Day. Children will consider the idea of earth from space and use tempera paint to recreate the planet. For more information about the Kids Create Art series, contact the Sequim Library at 360-683-1161, send an email to Youth@nols.org, or visit www.nols.org. This program is supported by the Friends of Sequim Library. 1st P l Best ace Saun a Clalla m Co .
Open Swim times available Mon-Fri evenings and Sat & Sun afternoon. • Educational hands-on • Pre-K – 4-5 yr olds - Mon., Wed., Fri. learning • 3-4 yr olds – Tues. & Thurs. • 8:00-11:00 or 12:00-3:00 - Mon., Wed., Fri. • 8:00- 11:00 - Tues., Thurs. activity, attention, assistance, etc. ), and we’re pretty sure the person with the power (mom, dad, our boss) will say “no.” So, what to do? There is no perfect cure for whining, but there are tricks and tools that can help. You can prevent whining to some degree by decreasing expectations when you realize your child is hungry, agitated or tired. Loneliness and boredom also affect your child’s ability to tolerate frustration and disappointment. Be sure you are not over-scheduling your child; include “down time” in your child’s day. In addition, recognize when you are hungry, agitated or tired. Tending to your own needs will help you have the patience to also deal with your whining child. Now is a great time to eliminate any dental surprises for the coming year. An examination could assure you no treatment is needed, or determine if any treatment would prevent future problems. We take time to listen and explain. Caring for people of all ages in the context of their health, history, family & community. Offering Affordable Health Care and High Level of Visits. Ignore the behaviors you don’t like. You can let them know that their whining is hurting your ears and that you will be happy to listen when their voice sounds like yours (be sure you are not whining when you say this). Most children will initially increase their negative behavior if you choose this method in order to get you to engage, especially if that has worked for them in the past. Stay calm, minimize eye contact and focus on something else. As soon as your child begins to display the behavior you want, positively reinforce the wanted behavior by giving your child your full attention. Be sure to provide sincere sympathy when they express disappointment appropriately. If you are open to negotiating, absolutely do not consider this option while they are still whining. Respond to your whining child’s request with “Don’t you wish… we could eat candy all day long and never feel sick?” or “… socks never felt bunchy?” (Insert relevant wish as needed). This technique can be surprisingly effective. It allows you to side with your child while not giving in to her when you’ve already said “no”. Resist long-winded responses, lectures, explanations or moralizing. Consider writing down their request and letting them know that you will think about it. Read back what you wrote and ask your child if you got it right. Giving a choice allows your child to feel they have some power and control. For example, the hour before dinner is frequently a time when children resort to whining. They are often tired and hungry and craving something sweet. Rather than telling them why they can’t have sweets before dinner, try offering a choice: “Do you want a piece of candy after dinner or some apple slices now?” Fall back on ignoring if she continues begging for the sweets “now!” In this case you also can simply state that it sounds to you like she doesn’t want either choice, and then be sure to ignore further whining. Remember, whining is often coupled with a sense of powerlessness. comments, or name-calling. Resist comparing your child to a sibling or a peer. And finally, regularly remind yourself to breathe and know in your heart that whining is not an indication of bad character in your child or your own failure as a parent. It’s a phase and it will pass. Who knows? Some day you might even marvel at your child’s persistence and unflagging tenacity in the face of insurmountable odds. Lisa McSweeney is a child mental health therapist and clinical supervisor for Children and Family Services at Peninsula Behavioral Health. In addition, McSweeney is certified as a Youth Mental Health First Aid instructor. Previous to her work as a therapist, McSweeney was a Family Life Education instructor at Peninsula College, teaching early childhood development to families with children birth to 5 years. 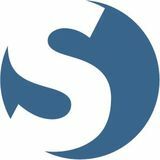 McSweeney earned a licensed mental health counselor degree from Argosy University in Seattle and a bachelor’s degree from Western Washington University. Call and ask about our FREE educational workshops and events! Daughter. Friend. Caregiver. She’s always taken care of you, and now you’re taking care of her. Let Discovery Memory Care help in this new stage of life. Our specialized Memory Care Community can provide you, Mom, and your entire family, with the comfort and support you need. We are a professionally managed Community providing assisted living for residents with memory loss. Our experienced team of caregivers will help make the transition as easy as possible so you can focus on being a daughter and a friend. WILDER AUTO You Can Count On Us!